A Beaux Arts icon designed by renowned architect Daniel Burnham, Union Station is many things to the 100,000 people who use it daily. First and foremost, the station is a busy transit hub serving fourteen types of transportation, from passenger trains and inter-city buses, to bike sharing services and DC’s subway system. 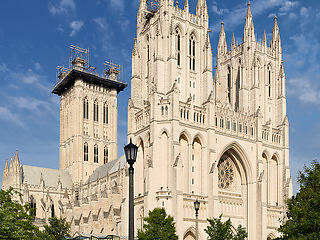 Just two blocks from the U.S. Capitol, Union Station is also one of the city’s most popular tourist destinations and a vital community anchor. Today, ambitious plans are in the works to transform Union Station: the rail concourse will be dramatically expanded in anticipation of significant increases in ridership; the station's 214,000-square-foot shopping mall will be upgraded; and a huge mixed-use development over the station's rail yard is in the planning stages. 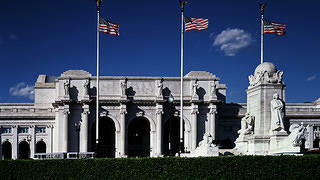 Union Station serves as a historic gateway to the Nation's Capital. 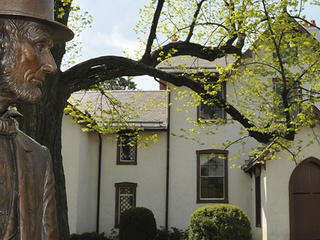 One of six allegorical statues on the façade by sculptor Louis St. Gaudens. 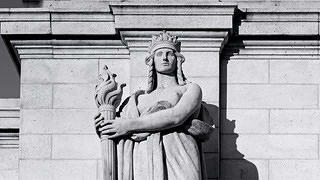 Today, approximately 100,000 people use Union Station daily. 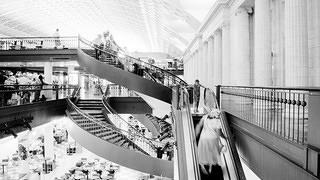 In the past, incompatible changes and avoidable neglect have harmed Union Station. However, if ongoing expansion and modernization are handled well – and historic preservation becomes a top priority for planners – future development will complement the landmark while preserving its integrity for future generations. With careful planning, Union Station can become an international model for historic preservation, multi-modal transportation, and transit-oriented development. Preserve the 105-year-old train station. Ensure the historic station is protected while it is transformed to serve twenty-first century transit passengers. 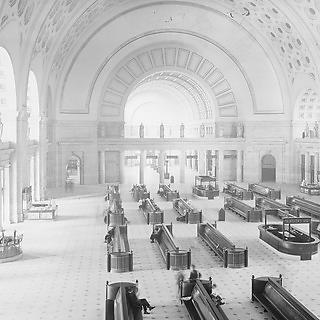 Preserve the 1907 railroad station that serves as a gateway to the Nation's Capital as the busy transportation center is expanded to serve the needs of twenty-first century travelers.